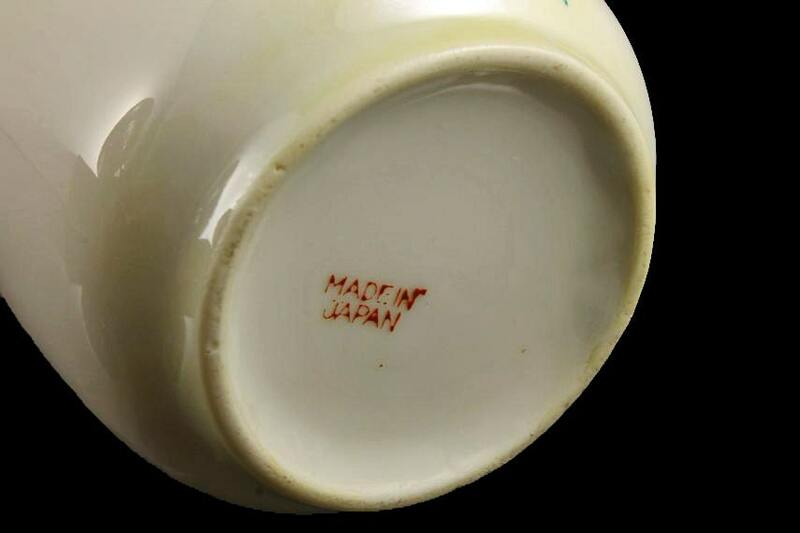 A charming hand-painted lusterware creamer that was made in Japan. This is a great small pitcher. 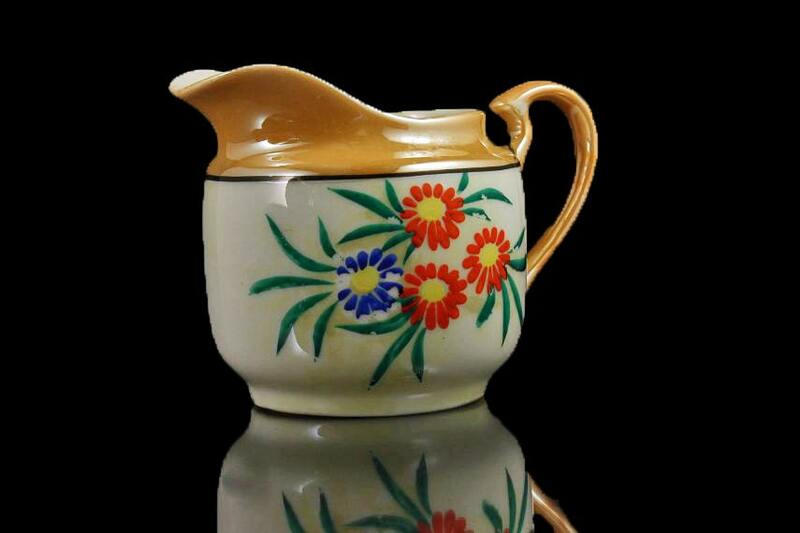 The hand painted design is of orange and blue flowers with a bright yellow center. 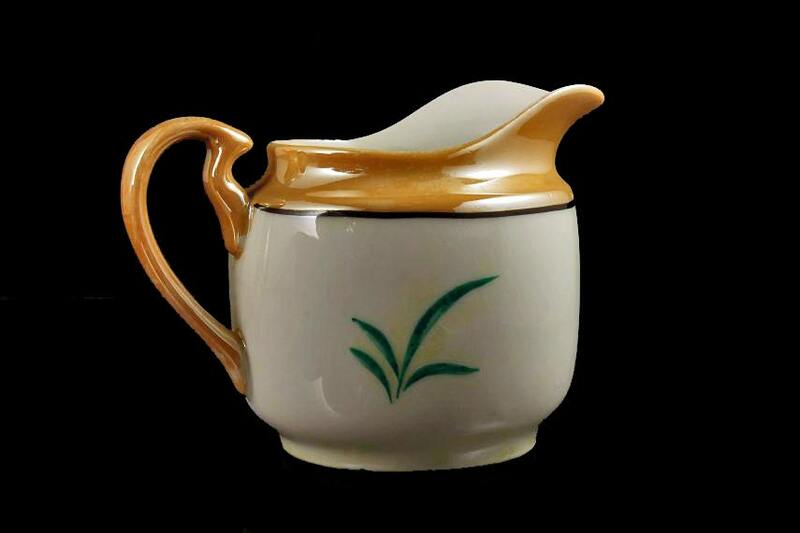 The pitcher has a golden orange lusterware rim and handle. 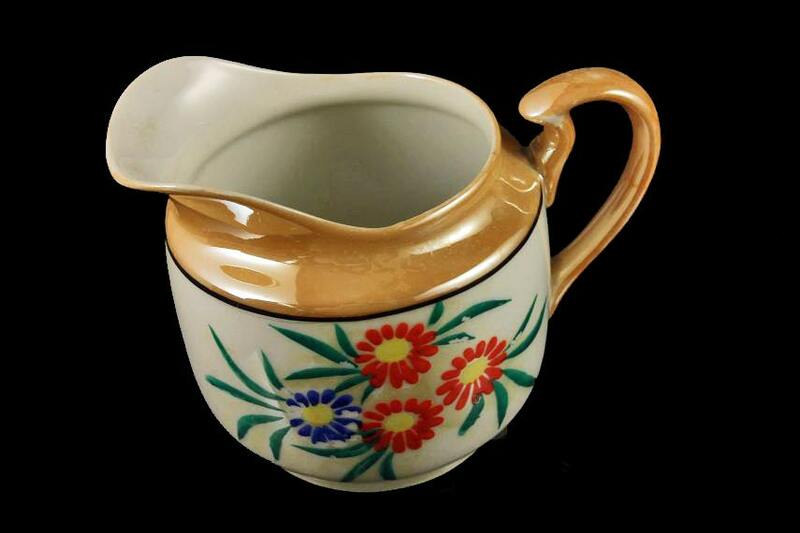 This creamer would make a wonderful vase for small blooms too. A great addition to your home decor. 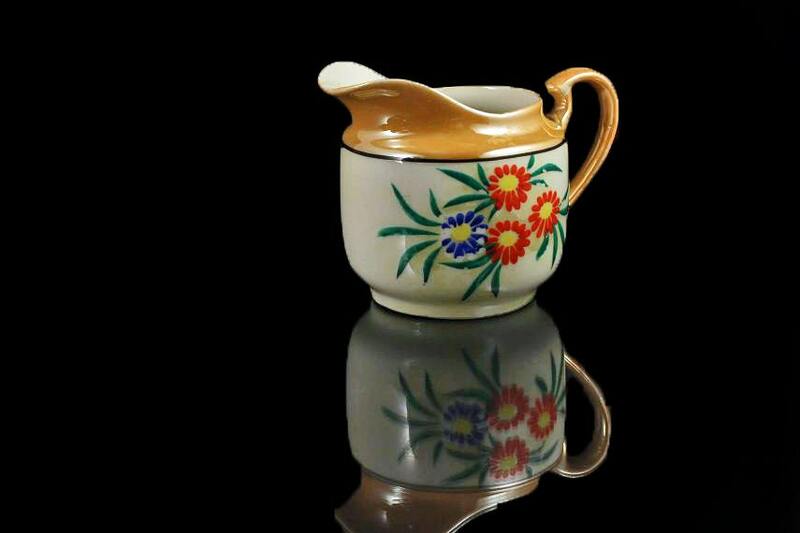 This vintage creamer is in very good condition. There are no cracks, chips, or crazing. There is some paint missing from the blue flower and some of the leaves due to it being used and loved. Our price reflects these imperfections.